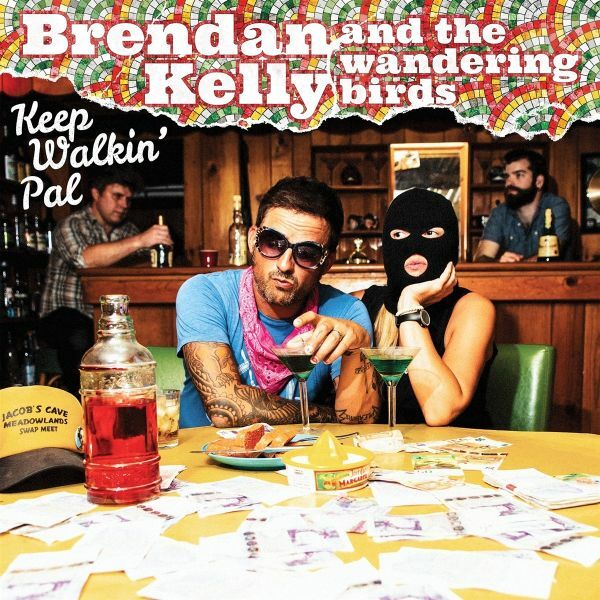 The Wandering Birds is a project from Brendan Kelly (The Lawrence Arms, The Falcon, etc.) that involves an eclectic group of collaborators and thematically relies on depravity and sleazy swagger. After a lot of sold out shows and apparently a lot of time spent in dive bars and seedy hotels, Brendan has returned with a new batch of illicit goods. Back with the Birds is Brens BFF and co-conspirator, filmmaker Nick Martin. Theyve also added two new partners in crime on these 10 godless hymns: Derek Grant of Alkaline Trio and Dan Tinkler from Atlas Studios. This latest LP is called Keep Walkin Pal, and were not sure if its Space Rock or Chiptune or what, but we know that its reliably dirty and real likeable. This is not some emo boy with a guitar or another "punk goes acoustic" outing, this is fresh American rock n roll that will appeal to punks, drunks, and weirdos.FOR FANS OF: The Lawrence Arms, Alkaline Trio, Brian Fallon,Against Me!, Jeff Rosenstock.